DENTON, Texas. – March2, 2018 – Today Peterbilt Motors Company announced the availability of two rebates for vocational customers throughout the 2018 calendar year. 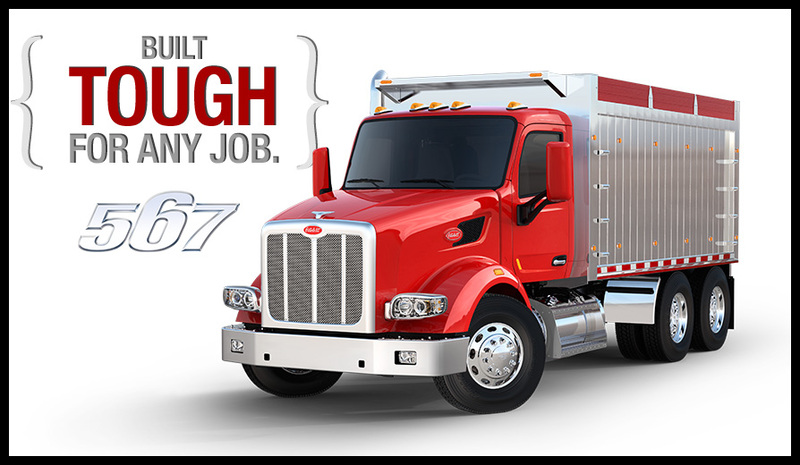 National Ready Mixed Concrete Association (NRMCA) members are invited to take advantage of a $2,000 cash rebate on Peterbilt’s Models 567 and 520 that are factory spec’ed to support mixer, pump, and other concrete industry equipment. With the company’s heritage in the logging industry, Peterbilt is happy to offer The American Logger Council (ALC) a $2,000 cash rebate for Models 567. “Peterbilt’s vocational customers demand the most rugged and reliable trucks available,” said, Robert Woodall, Assistant General Manager – Sales and Marketing, Peterbilt Motors Company. Rebate checks are mailed directly to the customer from Peterbilt and customers are limited to three unit rebates per calendar year. These rebates may not be combined with any other offer directly from Peterbilt. Customers can expect rebates to take 6-8 weeks to process. Members must be in good standing with ALC or NRMCA for 90 days prior to taking delivery.